The admission procedure for Rajasthan Polytechnic 2019 will start very soon. Keep checking the official website to get information regarding the admission process. The admission process will be controlled by the Directorate of Technical Education, Rajasthan. No entrance exam will be conducted for the admission process. The admission will be provided on the basis of score obtained in the qualifying exam. Candidates who want to take admission in the various engineering & non-engineering diploma programme in Rajasthan state can apply for Rajasthan Polytechnic 2019. The authority of DTE, Rajasthan will declare the merit list online and on the basis of merit list applicant can go for Rajasthan Polytechnic Counselling and get admission in diploma in engineering & non-engineering courses. Dates are not decided but these are expecting dates. We will update you after the release of actual dates of admission for Rajasthan Polytechnic 2019. Take a look on the tentative schedule of Rajasthan Polytechnic 2019 admission. Interested candidate can apply for Rajasthan Polytechnic 2019, but must check the Rajasthan Polytechnic 2019 Eligibility Criteria before filling the application form. The application form will not be considered if the applicant will not meet all eligibility criteria for Rajasthan Polytechnic. Candidate should be minimum 15 years at the time of application. Must have passed 10th or equivalent examination from recognized board. Must have scored 35% with Science and Mathematics as compulsory subjects. 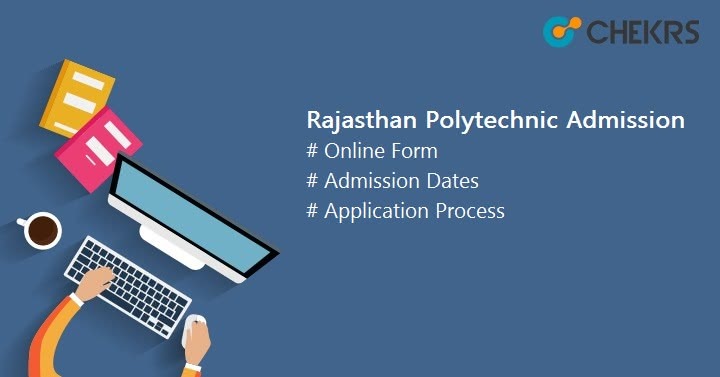 Rajasthan Polytechnic Application Form will be available online probably in the month of June 2019. Interested and Eligible candidates can apply after releasing the application form. Fill the application form on or before the last date of submission. Submitting the form after the last date will not be considered. The application form will be available online only. Visit the official website dte.rajasthan.gov.in . Click on the given link “Application Form 2019”. Candidates will be required to fill the two form.ne will be admission form and other one will be option form. In Option form, applicants have to fill their choice of colleges and stream in which they want to pursue. Click on “Save and Next “and pay the fee for final submission. The Rajasthan Polytechnic Application Fee will be Rs.300/- for all category. Candidates have to pay the fee through e-Mitra/CSK Kiosk. After few days of final submission of online application form, the authority of DTE, Rajasthan will publish the Provisional Rajasthan Polytechnic 2019 Merit List on the official website. Those who successfully submitted the application form can check their rank in merit list. Students will get admission on the basis of their rank. Rajasthan Polytechnic 2019 Result will upload online in the month of July 2019. Selected student have to upload their documents online for verification. After the document verification process, the final merit list will be released in the last week of July.